Having fallen in love with wine whilst working a part-time hospitality role, Ezequiel Cancina DipWSET swapped his singing career for a pursuit into his new passion. Now leading a team of Wine Specialists for Wine-Searcher and having recently completed his WSET Diploma, he gives us insight into the cogs behind the website’s ever-growing database. How did you initially fall into the wine industry and how did your background lead you to your job at Wine-Searcher? Everything started when I moved to the Mendoza region of Argentina, to pursue my operatic studies. In order to fund my education, I started working as a waiter. As I moved up the hospitality ladder I realised I wanted to move my career from singing to wine. I started formally studying wine, working in wineries and continued to work in hospitality. I met people in Argentina from around the world. I became interested in Wine-Searcher as the search function was indispensable for my job and the encyclopaedia invaluable to my studies. When I saw the role in New Zealand it was a dream come true! As the Wine Specialist - Team Leader, what does your role at Wine-Searcher entail? I am responsible for organising and managing the day to day work-load of Wine-Searcher’s team of 15 Wine Specialists. The team is highly qualified - we require WSET Level 3 Award in Wines as a minimum qualification and have several experienced winemakers in the team. Our job comprises constant daily updating of our database, quality control of the wine data and keeping up with wine and spirit trends in every country. Keeping such a big database accurate is an enormous job, every day we have new prices of wines, beers and spirits to update from retailers all over the world. Vintages, bottle sizes and labels all need updating. We organize and identify new releases as well as keeping up with the fine, rare and esoteric. Having recently achieved your WSET Diploma, how has the knowledge you gained during the qualification helped with your work? The WSET Diploma has been an enormous help for my job and vice versa. I work everyday with all the wine regions of the world, constantly applying knowledge of legislation, grape varieties and geography to the matching process. Every day I have to review the work done by the Wine Specialist team - who have specific and deep knowledge of the wines and spirits from their own specialist producing countries like Argentina, New Zealand, Australia, Italy, Chile, France, Portugal and Greece, as well as unusual ones like Slovakia, Romania, Brazil and China. My work tests the knowledge I gained from my Diploma studies on a daily basis and it is essential to enable me to mentor and critique the team’s work. Where is the most traffic to Wine-Searcher coming from? America is where most Wine-Searcher users are based. 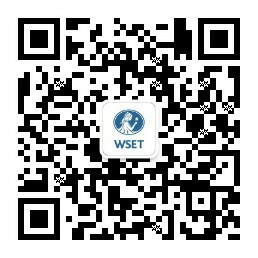 Merchants and consumers in the main wine-producing and trading countries all use Wine-Searcher. Usage in China and other Asian countries is fast growing. We are working to make Wine-Searcher more accessible for people whose first language is not English. Our app has just been updated and is now available in French, Spanish, German and Italian. My work tests the knowledge I gained from my Diploma studies on a daily basis and it is essential to enable me to mentor and critique the team’s work. For years the most popular searches through the website have consistently been for Bordeaux’s First Growths and Burgundy’s Grand Crus. People are aspirational and enjoy looking at these top wines. However, other trends are very apparent to us as we can see them in our data. Lately there has been a huge increase in searches for whisk(e)y. (Although we are called Wine-Searcher we also list spirits and beer).